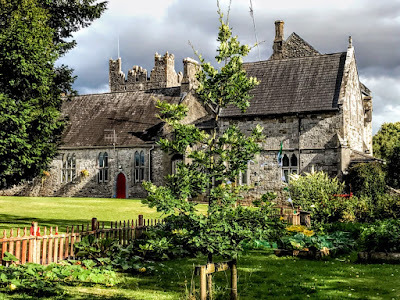 Between the Trinitarian Abbey in Adare and the former monastic dovecote, Our Lady’s Abbey Girls School dates back to the Victorian era, and is part of the cluster of interesting ecclesiastical buildings and foundations in this Co Limerick town. The Abbey School was founded by the Sisters of Mercy on 20 April 1854. 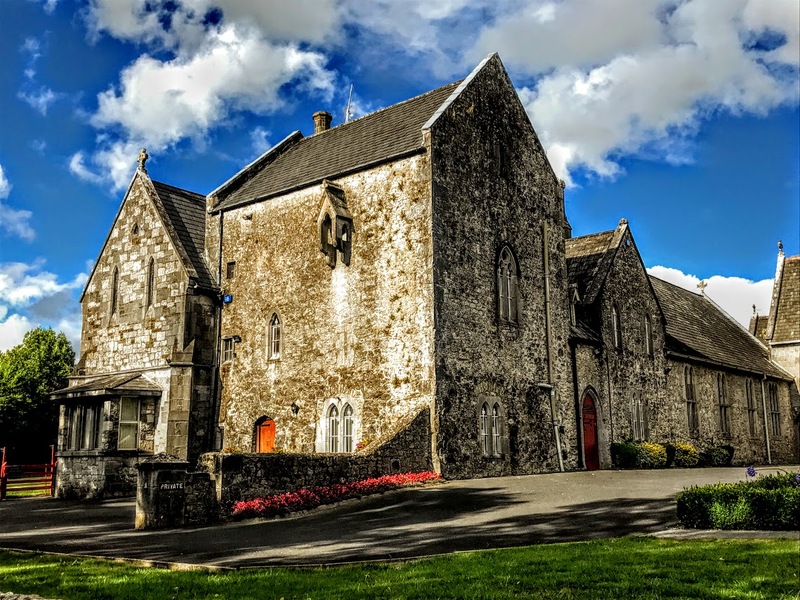 The nuns chose to name their convent Our Lady’s Abbey because the Trinitarian Abbey, which was then being restored at the expense of the Earls of Dunraven of Adare Manor, was once known as the White Abbey. 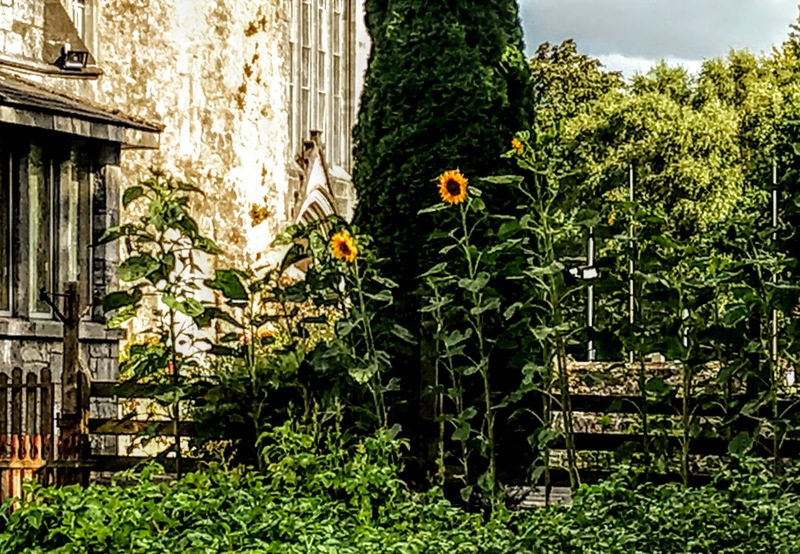 The Trinitarian Abbey had been in ruins up to 1811, but it was restored as the Roman Catholic parish church for Adare by Lord Dunraven. At the same time, and part of the abbey lands was given to the Sisters of Mercy to build a new house and to set up a new house. The convent initially had accommodation for seven sisters, while the school itself consisted of two rooms until 1869, when another room was added. School records show that almost 200 pupils turned up to enrol on the first day. Our Lady’s Abbey School incorporated part of the original cloister. The original gable-fronted two-storey former convent school, which was built in 1854, is attached to the mediaeval abbey to south. It has a box-bay window on the west elevation. There is a two-bay north elevation and a lower single-bay, single-storey block to the east. The pitched slate roof has cut limestone copings, and there is a carved cross finial on the west gable, and cast-iron rainwater goods. The convent was built with rubble stone walls, with cut limestone pilasters on the corners and a cut limestone stringcourse. There are paired trefoil-headed openings on the north side, and these are divided by mullions and transoms, with carved limestone surrounds. There are trefoil-headed lancet openings on the west side, with stained glass windows and carved chamfered limestone surrounds. The trefoil opening on the west gable have a carved chamfered limestone surround. There are square-headed openings at the box bay window with fixed pane windows and a carved limestone continuous sill course. The school now forms part of an integrated ecclesiastical complex with the mediaeval abbey to the south and contributes greatly to the architectural heritage of Adare. The multiple-phased construction of this complex is similar to that of the neighbouring church, with the obvious contrast between stonework and detailing. Artistic detailing is evident in the window surround, the cross finial and stained glass windows. The convent was designed by the English-born architect Philip Charles Hardwick (1822-1870) following his work on the adjacent abbey, at a time when he was also working on Adare Abbey, the home of the Earls of Dunraven. Earlier, in 1846, AWN Pugin had designed the hall ceiling, great staircase, the gallery at the end of the hall, the fireplace and the doors, and Pugin’s influence on the Gothic revival can be seen in Hardwick’s work on the Abbey Convent in Adare. Philip Charles Hardwick was born in Westminster , the son of the architect Philip Hardwick (1792-1870) and grandson of the architect Thomas Hardwick jnr (1752-1825). He trained as an architect with his father and Edward Blore, where he went on to become the leading architect of banking offices, mainly built in an Italianate manner. He designed five City banks, including Drummond’s in Trafalgar Square (1879-1881), and he was architect to the Bank of England from 1855 to 1883. His best-known work is the Great Hall of Euston Station. It opened in 1849 but was demolished in 1962 to make way for building the present Euston Station. His other works include the restoration of Saint Mary’s Church, Lambeth (1851-1852), the Great Western Royal Hotel, London, now the Hilton London Paddington (1851-1854) and Saint John’s Cathedral, Limerick (1856-1861).